Explore the best of American history while taking a step into its future on this combo tour at the Smithsonian. 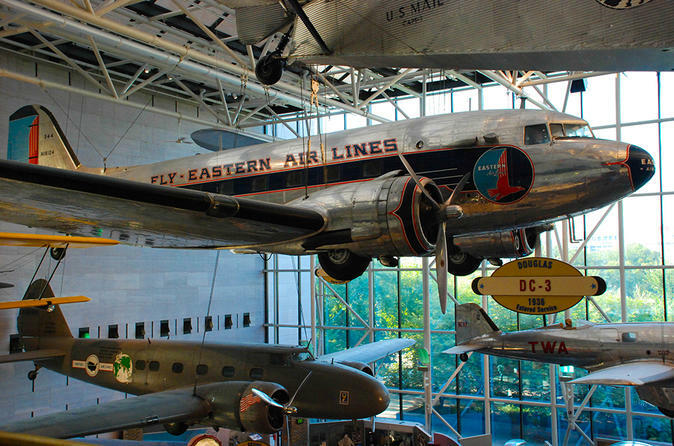 On this 5 to 5.5 hour small group tour, you’ll visit the National Air and Space Museum followed by a trip to the National Museum of American History. Our passionate guides will take up to 8 guests to some of the most captivating pieces displayed in these two world-class museums to explore the United States and its rich past, followed by a look to the future. Special Offer - Book this tour and save 6% compared to booking each attraction separately! - Book Now!